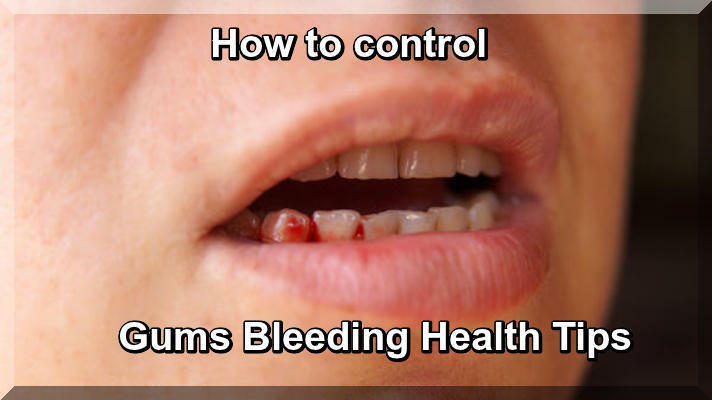 This article is about main reasons of gums bleeding, it is best Health Tips and how to control on it. I am discussing about such type of reasons. Some reason are that you are smoker and also your diet is poor, and also you have poor oral hygienic. Gingivitis can occur when plaque and its cavity causing bacterial build up on your teeth and your gums become inflamed. If left untreated, gingivitis can lead to periodontal disease, characterized by the destruction of gum tissue and tooth loss. Luckily, gingivitis can be reserved and completely avoided. Gingivitis is virtually 100 percent preventable, brushing and flossing to remove plaque, as well as regular dentist checkups, can keep bleeding gums and gingivitis at bay. Now see the following guideline step by step. Brushing too hard, not brushing at all, forgetting to floss, if you are not committed to a regular and careful oral hygienic routines, your gums will suffer the negative consequences. Soft bristle toothbrushes provide a gentler cleaning option for gums and teeth, but if you forget to brush, the type of toothbrush won’t matter. Inhaled smoke can leave irritating toxins on the teeth that can be difficult to remove. These unhealthy substances can cause the gums to become aggravated and bleed. Quit smoking and your gums will thank you. A balanced diet is key for a health mouth. A combination of good oral hygienic and overall health is the best prevention of oral disease. Anticonvulsants such as Dilantin can cause abnormal gums selling,. Some blood pressure medications and immunosuppressant’s can also cause gum inflammation while other things can leave you with a dry mouth, another trigger for gum problems.